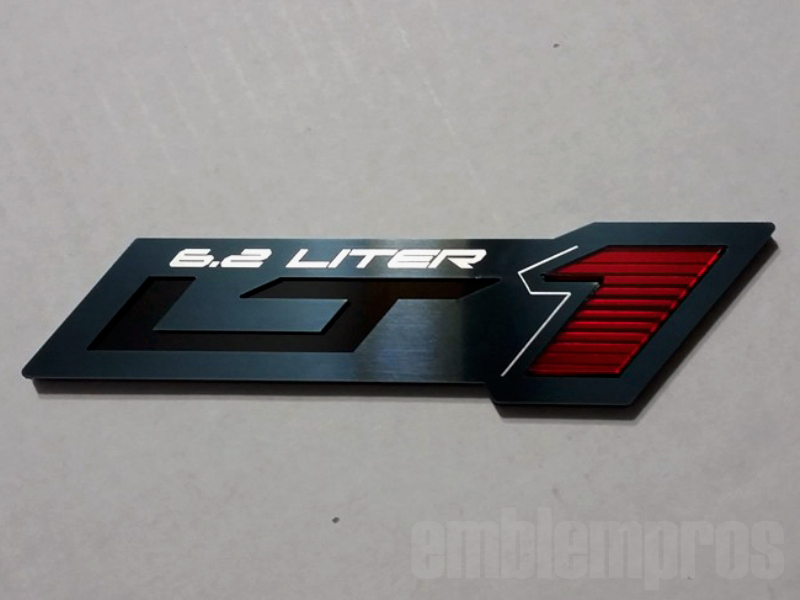 LT1 'ZR1' STYLE STAINLESS STEEL & ACRYLIC EMBLEM, for your Camaro, Trans Am, Formula or Corvette. Made from premium black mirror stainless steel (Our ONYX Series Metal) and UV rated Acrylic. 3M automotive emblem tape is preapplied for easy installation. You have your choice of color for the "1" and also your choice of logo from below. Size 1.375 x 5.4" apprx. The black finish will be etched off for the text line and the text line will be a satin finish silver. The "1" insert, shown in red, will have a reverse engraved gradient for effect. All custom text will be done in the font shown.